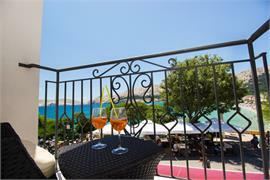 Find a hotel on the Island of Krk, ideal for your perfect holiday. All hotels are situated at the seafront, and most are located only metres from the beach. Book your hotel accommodation online! 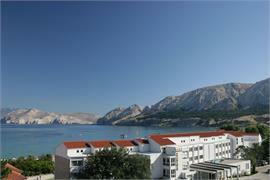 A large hotel with over 400 rooms only metres from Baska beach. Wellness centre, outdoor and indoor swimming pools, children's mini club. A stylish 16-room hotel in the centre of Baska, only 20m from the sea and with panoramic view over the famous Baska beach. Each room is decorated in a unique style. 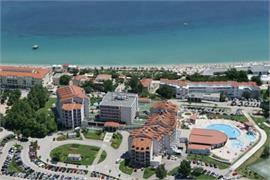 One of four star hotels on the Island of Krk, this hotel is located right on the Baska beach promenade. The hotel features 70 rooms and 15 suites.